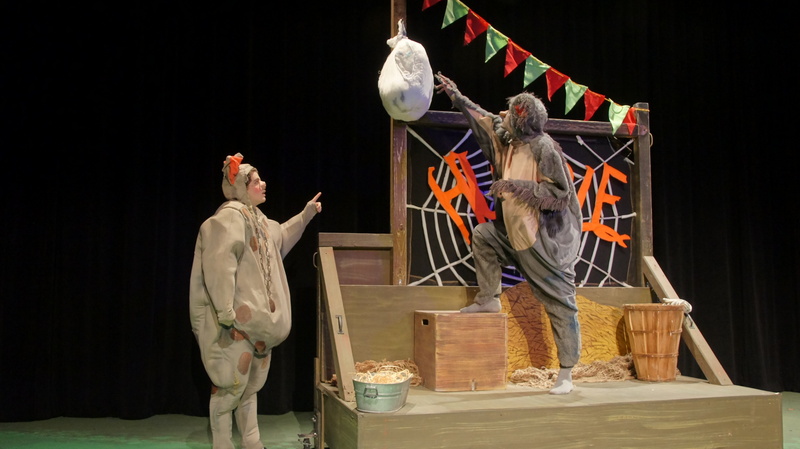 HFC's Theatre Arts will present the stage adaptation of E.B. 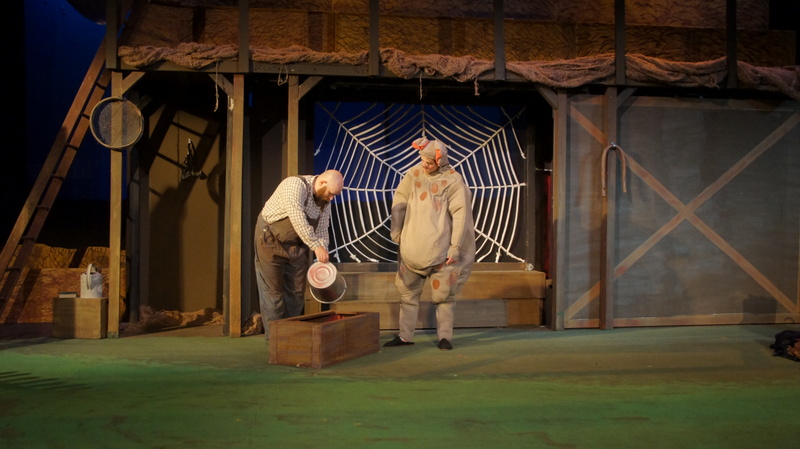 White’s “Charlotte’s Web” for eight public performances. Sunday, Nov. 20, at 2 p.m. Published in 1952, “Charlotte’s Web” is a beloved, award-winning children’s novel and considered one of White’s finest bodies of work. The story centers around a young piglet named Wilbur, the runt of his litter. 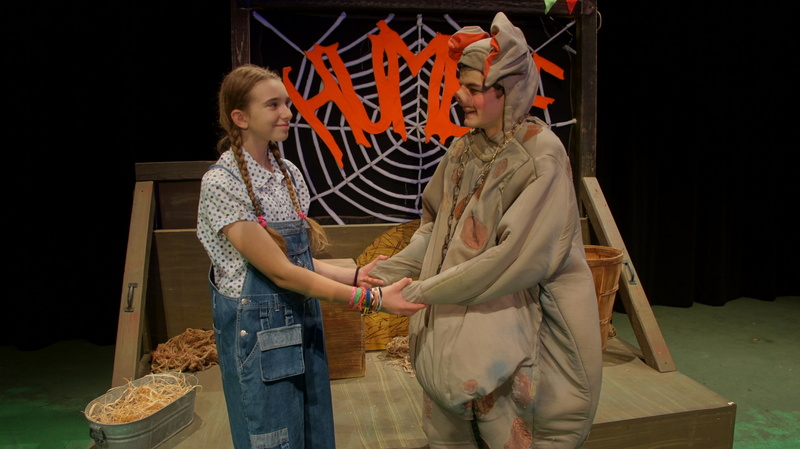 A little girl named Fern Arable convinces her father not to slaughter Wilbur for food. Fern then nurtures Wilbur. Once he grows up, Wilbur goes to the farm owned by Homer Zuckerman, Fern’s uncle. 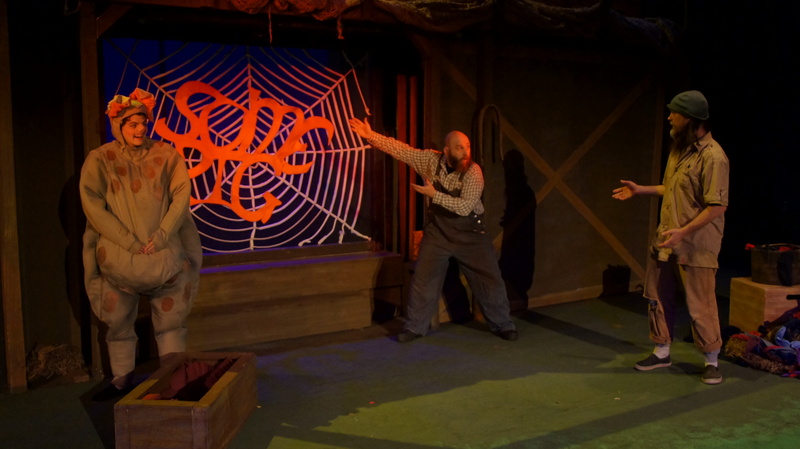 There, he befriends a barn spider named Charlotte and a rat named Templeton. Wilbur is scared when he learns he’s going to be slaughtered, but Charlotte concocts a plan to save his life. 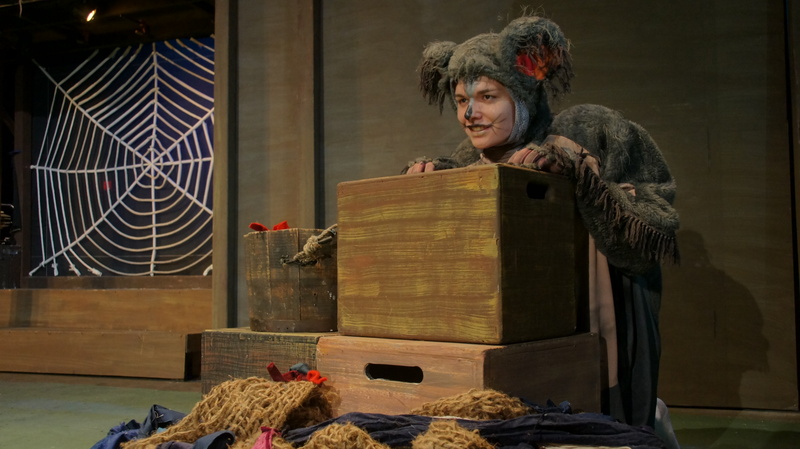 She weaves words of praise into her web for everyone to see, attracting publicity for Wilbur. More inscriptions appear in her web over time, increasing Wilbur’s popularity. Thanks to Charlotte’s efforts, Wilbur is eventually spared from the slaughterhouse. 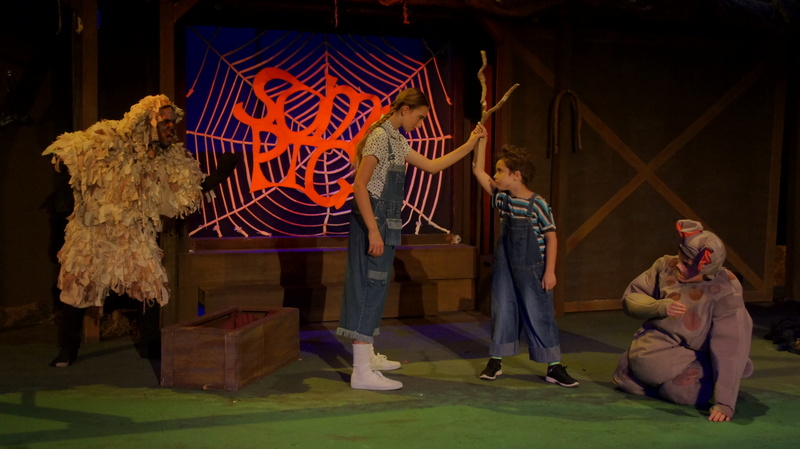 However, Charlotte dies soon thereafter but three of her newborn children – and later their children and then more generations of spiders – keep Wilbur company for the rest of his days. 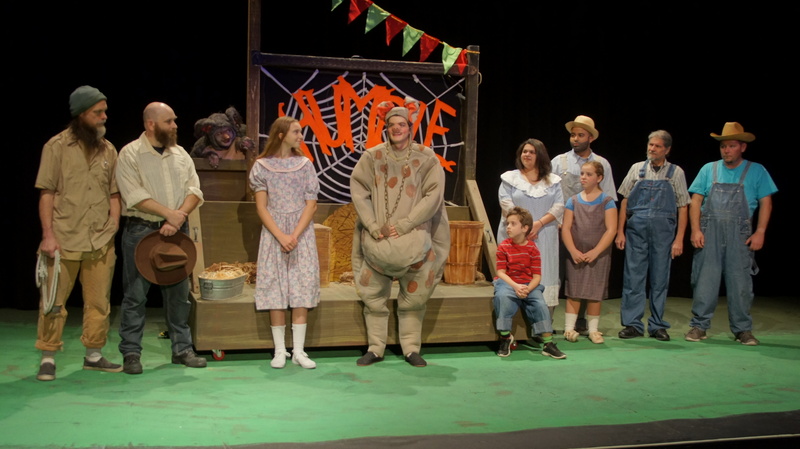 “Charlotte’s Web” has been adapted into other media, including Joseph Robinette’s stage play. A cartoon adaptation was released in 1973 with Debbie Reynolds (“Singin’ in the Rain”) as Charlotte. In 2006, a live-action/computer-animated adaptation was released. In it, Dakota Fanning (“The Twilight Saga”) plays Fern; Oscar winner Julia Roberts (“Pretty Woman”) voices Charlotte; Dominic Scott Kay (“Minority Report”) voices Wilbur; Steve Buscemi (“Reservoir Dogs”) voices Templeton; and Oscar winner Robert Redford (“Ordinary People”) voices Ike the horse, among many others in an ensemble cast. 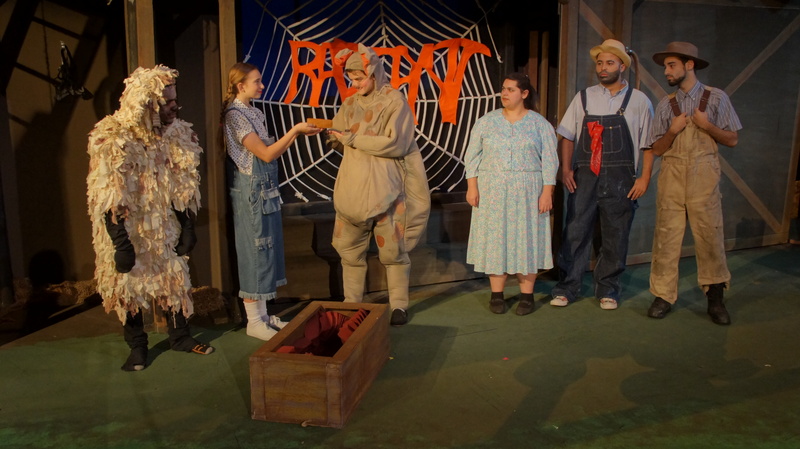 One feature that will make HFC’s production of “Charlotte’s Web” unique is HFC music instructor Anthony Lai composed an original score specifically for this play, according to Gerard Dzuiblinski, HFC theater instructor/“Charlotte’s Web” director. “It is a phenomenal score. 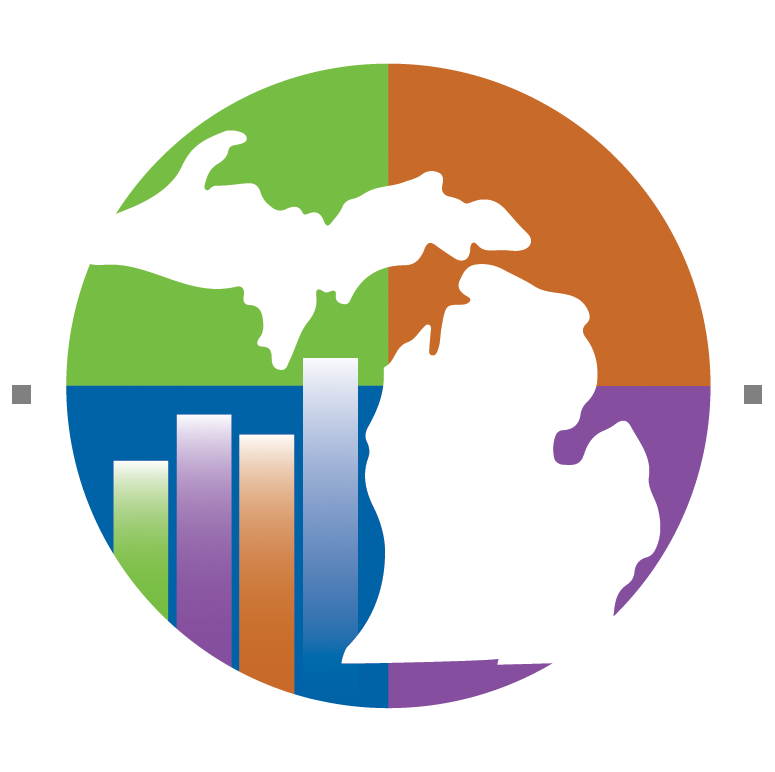 I’m very impressed,” said Dzuiblinski. 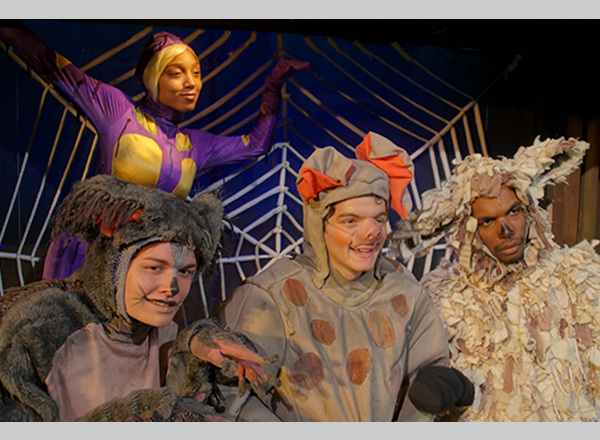 Since the majority of the characters in “Charlotte’s Web” are animals, many of the actors will be dressed up as animals, Dzuiblinski explained. “This delightful tale is perfect for families,” he said. Tickets are $10 for adults, $5 for children 12 and under. 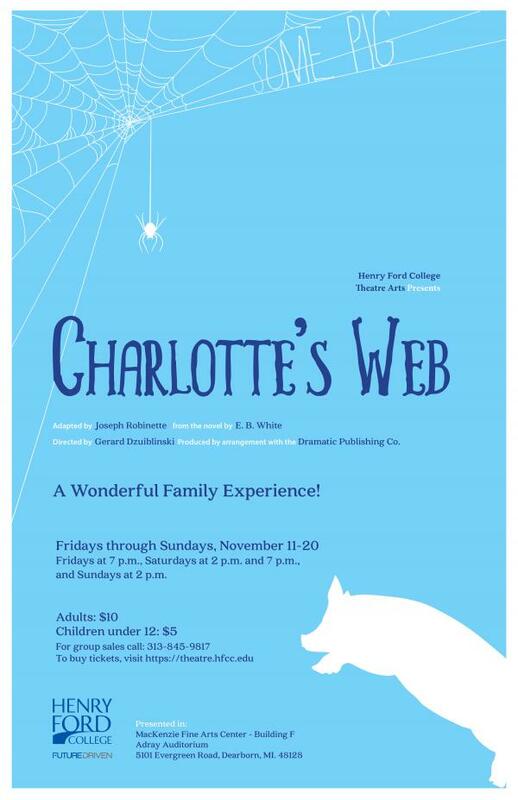 For questions and/or further information about “Charlotte’s Web,” contact Dzuiblinski at 313-845-9817 or gadzuiblinski@hfcc.edu. 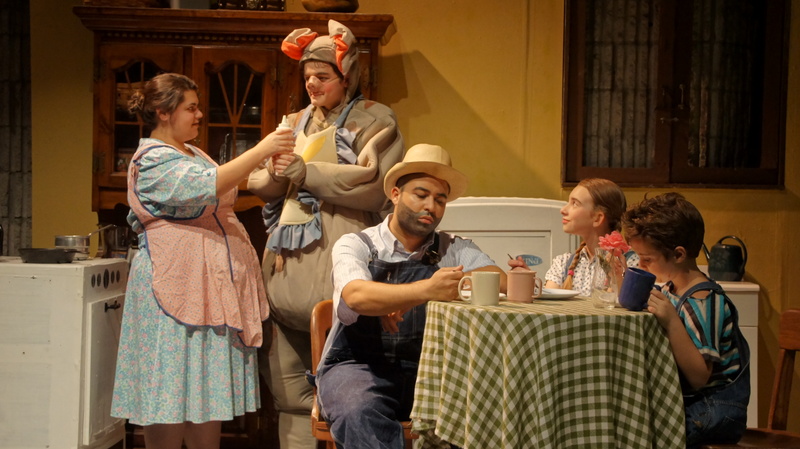 Special Thanks to: Mary Musinski for the design and construction of Wilbur, Charlotte, Templeton, and sheep costumes.